Faces in the Crowd DVD Review It's an interesting story that ultimately fails to create a strong thriller and is filled with clichés and too many plot holes. 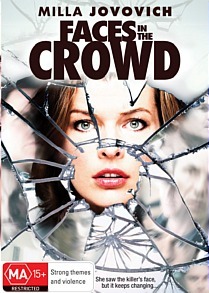 Written and directed by Julian Magnat, Faces in the Crowd stars the lovely Milla Jovovich, a primary school teacher named Anna who becomes the only known survivor of a deadly serial killer known as Tearjerk Jack. To compound the situation, her character also suffers from "face blindness", a real-life brain disorder that prevents people from remembering faces. Although what starts as an interesting story with some interesting special effects where everyone looks the same, the story begins to derail very early in the piece. 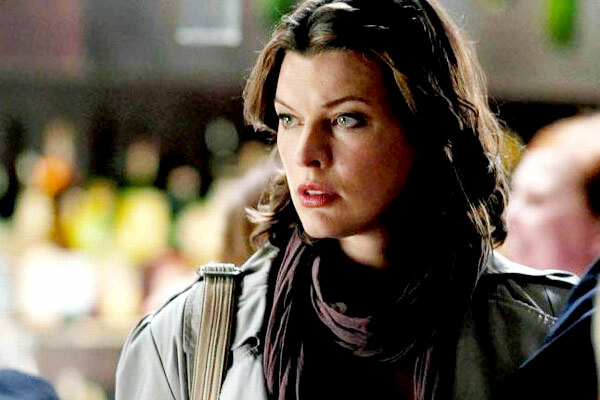 Unfortunately Jovovich is forced to play the innocent victim or the damsel in distress in this rather predictable thriller that opens up a whole can of worms for plot inconsistencies. Sure, her character Anna cannot recognise people but why does everyone sound the same? So how did Anna survive this serial killer? Fate intervened and while she was about to become the next victim of the killer, she fell from a bridge which caused her to have Prosopagnosia, the brain disorder known as face blindness. Unfortunately she cannot identify the suspect because she can never remember what people look like. This is the conundrum. The serial killer also knows where Anna lives which is where Detective Kerrest (Julian McMahon) comes into the picture. As Anna is forced into hiding, she falls for her detective but as we all know, the serial killer is always one step ahead of our hero and the damsel in distress. Unfortunately this predictable thriller leaves quite a bit to be desired and even for fans of Milla Jovovich, her performance falls flat. It's an interesting story that ultimately fails to create a strong thriller and is filled with clichés and too many plot holes.